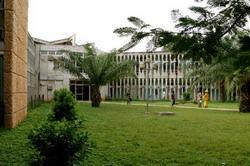 We have medical placements for volunteers at hospitals located in the Togolese capital of Lomé. Whether you are on your gap year, a medical student, or a trained professional, you will have the chance to work in a wide range of departments in a busy Togolese hospital. It will be well-equipped by local standards, and will give you a full experience of medical practice in a developing country. As well as the opportunity to see a wide variety of treatments and surgical procedures, volunteers provide much-needed support and affection to patients. Upon arrival a member of Projects Abroad staff will introduce you at the hospital and you will be assigned to a doctor who will act as your supervisor. The doctor will discuss your interests with you and confirm your schedule within the hospital for the duration of your stay. Your role is that of an intern. The hospitals where we work provide an excellent backdrop for learning and improving your medicine and healthcare skills. You will find yourself coming into contact with conditions that you would not normally see in Europe or North America, such as malaria and typhoid, on an almost daily basis. There is also the option for volunteers to specialise in paediatrics. The medical projects in Togo are available for two weeks if you don't have time to join us for a month or more. This project has been selected by our local colleagues as being suitable for short term volunteering for both the placement and the volunteer. Although you will gain a valuable cultural insight and work intensely within the hospital please be aware that you may not be able to make the same impact as someone volunteering for a longer period. If you wish to volunteer in Togo to gain experience in the fields of Nursing, Midwifery or Dentistry, the relevant department of the University hospital in Lomé will be extremely happy to receive you. If you are currently training, already qualified or even just considering one of these areas as a future career, you will have a role to play; shadowing and working alongside professionals who will teach you all about their specialist areas. 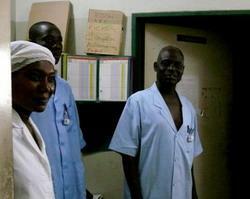 You can do your Elective in Togo in Medicine, Nursing, Midwifery or Dentistry. 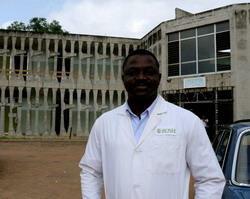 Most Elective volunteers in Togo will work in a large hospital in the capital of Lomé. You will shadow your French speaking supervisor who will be keen to test out your medical knowledge and experience, as well as giving you the benefit of their training and knowledge. All Elective volunteers live with a local host family, who provide all your meals outside of your normal working hours. When you finish work there is plenty to do in Lomé, with the beach never far away, as well as plenty of bars, restaurants and local live music venues. Вы можете ознакомиться с детальной информацией о целях данного проекта здесь: Togo Medicine & Healthcare Management Plan.